One day’s snow will lead to the next day’s rain and the following day’s warmer temperatures. It’s a perfect mixture for one of Ohioans’ favorite pastimes – dodging potholes. The Ohio Department of Transportation knows about this and is ready to roll. Mix in some rain and snow and conditions are perfect for the formation of potholes. Potholes are a common nuisance, particularly during the winter season when the freeze/thaw cycle weakens the pavement. This happens when water seeps into cracks in the pavement, then expands as it freezes. When temperatures warm up, and the ice melts, the pavement contracts, allowing even more moisture in to freeze and thaw. Add traffic on top and the pavement will eventually fail, creating a pothole. 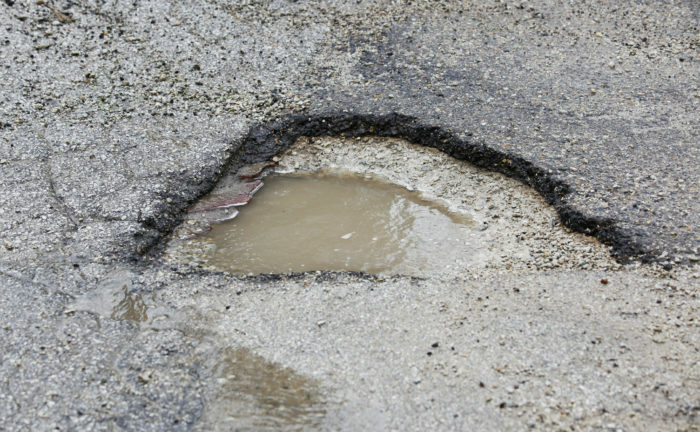 Roadways with a high volume of traffic are particularly prone to pothole formation. Not only should drivers be extra alert for potholes over the next several days, but crews are working to fill them. As of the first of month, ODOT had used 2,574 tons of asphalt to repair potholes. That’s up from 1,892 tons at the same time last year. Crews have spent more than 39,000 hours patching potholes this winter.